The “3rd INTERNATIONAL BALKANS CONFERENCE ON CHALLENGES OF CIVIL ENGINEERING” was held at Epoka University, Albania over three days from 19-21 May, 2016. he conference included presentations covering a broad variety of topics in challenges of Civil Engineering. The “Third International Conference on Advances in Civil, Structural and Environmental Engineering – ACSEE” was held in Zurich, Switzerland on 10-11 October 2015. Researchers over 44 different countries participated in this event. The conference included presentations covering a broad variety of topics of Civil, Structural and Environmental Engineering by Institute of Research Engineers and Doctors (IRED). 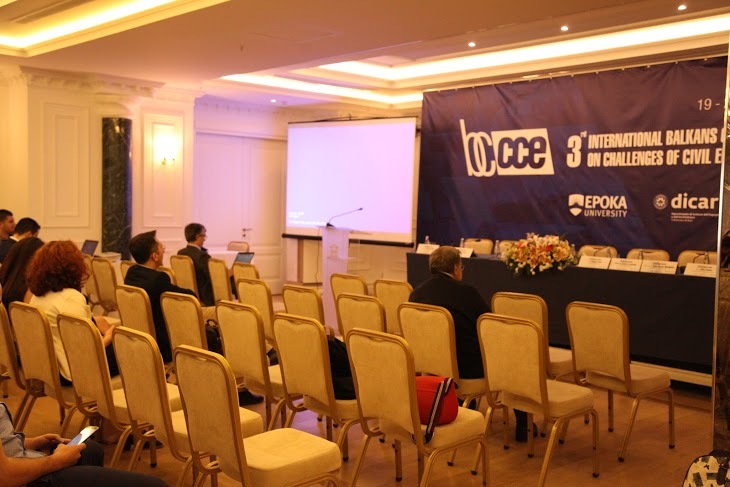 The “Second International Conference on Advances in Civil, Structural and Construction Engineering – CSCE” was held in Rome, Italy on 18-19 April 2015. Researchers from 44 different countries participated in this event. The conference included presentations covering a broad variety of topics of Civil, Structural and Construction Engineering by Institute of Research Engineers and Doctors (IRED). The “Second International Conference on Advances in Civil, Structural and Environmental Engineering – ACSEE” was held in Zurich, Switzerland on 25-26 October 2014. Researchers from 52 different countries participated in this event. The conference included presentations covering a broad variety of topics of Civil, Structural and Environmental Engineering by Institute of Research Engineers and Doctors (IRED). The “2nd INTERNATIONAL BALKANS CONFERENCE ON CHALLENGES OF CIVIL ENGINEERING” was held at Epoka University, Albania over three days from 23-25 May, 2013. Over 200 delegates attended the event from 20 different countries in the region and beyond. The conference included presentations covering a broad variety of topics in challenges of Civil Engineering. In total there were 140 scientific papers organized in 11 oral presentation sessions, a poster session, and also a special DMT application session. Epoka University, Polytechnic University, University of Prishtina, Civil Engineering Departments “INTERNATIONAL STUDENT CONFERENCE OF CIVIL ENGINEERING ISCCE 2012” held in Epoka University, Tirana, Albania, on 10-11 May 2012. During the ISCCE 2012 activities, students exchanged opinions and experiences, and discovered new possibilities to understand and handle engineering problems or situations. The Department of Architecture at Epoka University, organized the 2nd International Conference on Architecture and Urban Design (ICAUD), on 8 – 10 May, 2014 in Tirana, Albania. Building upon the success of the first ICAUD, the conference promised a wide range of topics on architecture and urban design and an international audience of academics and practitioners from around the world. 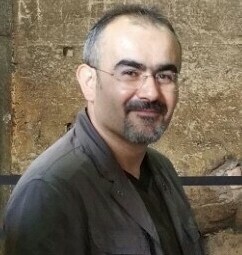 The 8th IMC took take place in Dresden, Germany 2010, between 4 and 7 July 2010, hosted by the Technical University of Dresden and co-organized with the International Masonry Society (IMS). It aimed to attract delegates from universities, research institutes and industry involved with applied research and development in structural masonry. The conference provided a platform for discussion and exchange of ideas and to encourage new insights on the possibilities and challenges of structural masonry. The surface magnitude 6.3 L’Aquila earthquake which struck the L’Aquila area on April 6, 2009, damaged a large number of buildings, of nearly all construction types. Its epicenter was only 7 kilometers of north-west of the city. Officially, 306 died and 1500 were seriously injured. Approximately, 15000 buildings were severely destroyed or collapsed. These buildings were representative of construction types in form and structural system to those of the same vintage found across Europe. A large portion of L’Aquila’s older building stock is of URM, built in the absence of mandatory earthquake-design requirements. These older buildings were at greater risk than the new buildings not only because they have been designed no or little seismic loading requirements but also not being capable of dissipating energy through large inelastic deformations. catastrophic nature of non-ductile structural systems when weighing options in seismic mitigation strategies. This is important because of the large inventory of existing structures constructed prior to the legislation of ductile design guidelines. The Fourth International Scientific Conference BALWOIS 2010 was held in Ohrid, Republic of Macedonia, from 25 to 29 May 2010. The purpose of the conference was to provide a solutions-based forum and to exchange information regarding research activities and plans for studying the relationship between climate and environment for improving the quantity and quality of water, engineering and current policies from state and federal agencies.